Electric linemen are being brought in from Oklahoma and Houston to help restore power to tens of thousands of North Texas customers left in the dark by a series of storms. Forecasters expect flash-flooding in Dallas County on Thursday as strong thunderstorms continue to rumble through the area. Vivid lightning was suspected in at least one fire that destroyed a large, two-story house in the town of Heath on Lake Ray Hubbard, 17 miles northeast of Dallas. The National Weather Service reports as much as six inches of rain had fallen on Dallas County by the morning rush hour, with more rain in the offing. 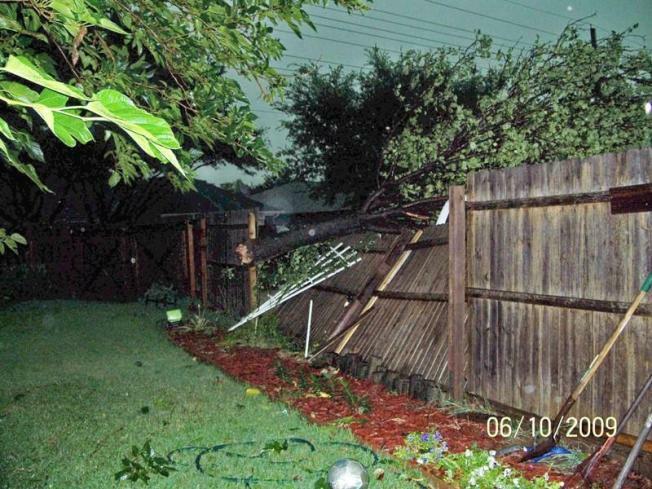 Winds estimated up to 70 mph swept the area overnight, causing widespread damage. 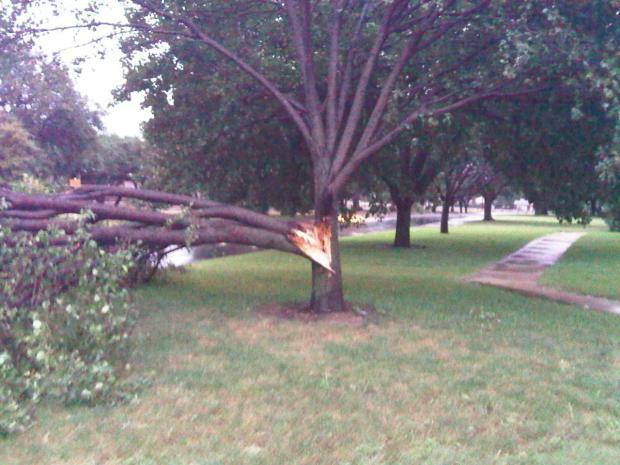 The worst appeared to be in the northern suburbs of Dallas and Fort Worth, where trees and chimneys toppled. Damaging wind tore limbs from trees throughout the region, causing many of the power outages to more than 250,000 homes and businesses overnight. Dallas-based Oncor Electric Delivery spokeswoman Jeamy Molina says power had been restored to all but 145,000 Dallas-Fort Worth-area customers by daybreak Thursday. Repair crews were being brought in from outside the area, but each storm has forced the crews to suspend their work. Oncor senior vice president Charles Jenkins said in an early morning statement that the company is bringing in 550 contract linemen, 1,100 extra tree trimmers. It's also borrowing 60 workers each from Oklahoma Gas & Electric and Houston-based CenterPoint. Michelle Levitsky of Frisco says the storm winds bewildered her farm animals. "When the storm hit, they started running around, running into each other. The goats were being knocked over and tumbling. The chickens -- we had their wings clipped -- they were in the air, just being picked up by the wind," she told KDFW-TV of Dallas and Fort Worth. She said all survived. The winds also left scattered damage, especially in the northern suburbs of Dallas where some chimneys were toppled and shingles were stripped from roofs.